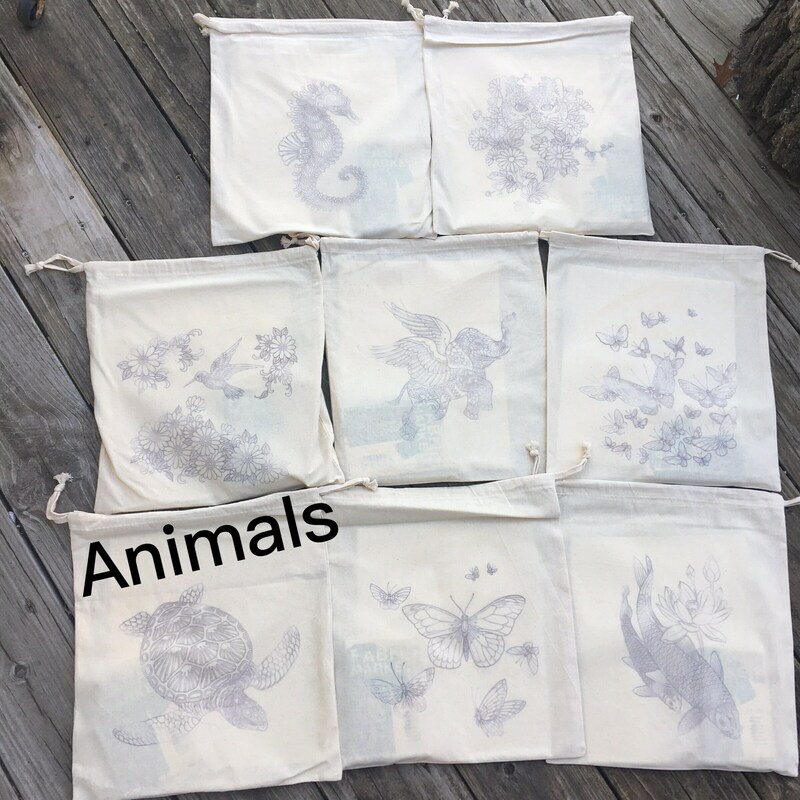 These cotton project bags have been hand embellished with prints of flora and fauna, ready for you to color! You'll end up with a one-of-a-kind masterpiece. 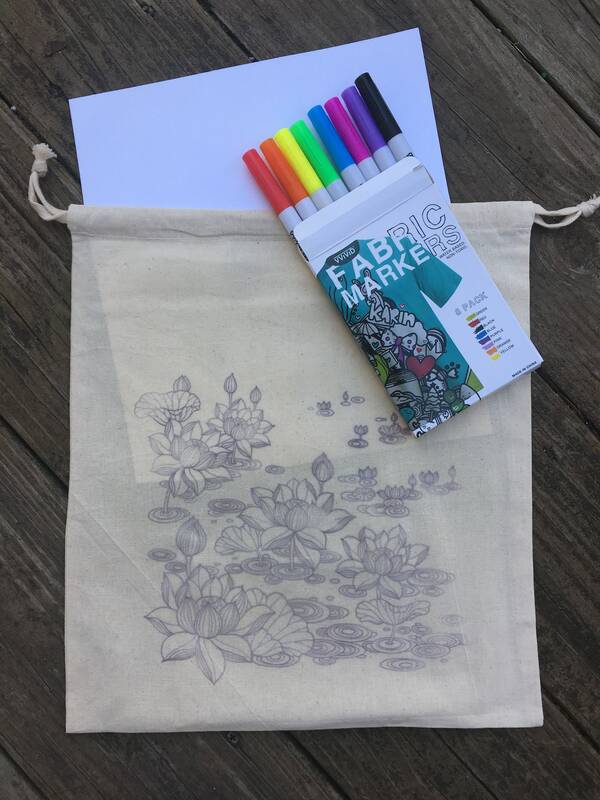 Color it yourself, or ask your partner or favorite child to create something truly special for you! Available in 2 options - please choose "animal" or "floral" from the dropdown menu when ordering. 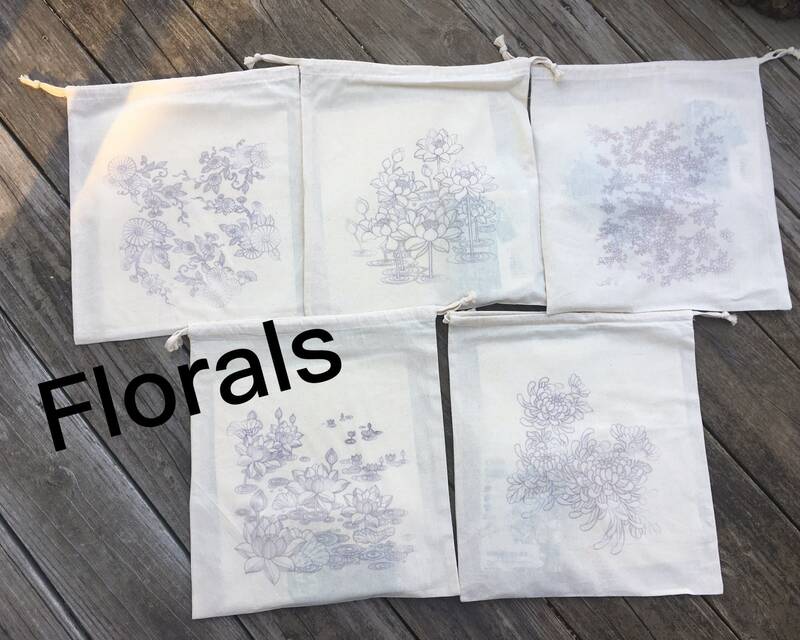 We've shown all the styles in the photos above, and we'll randomly assign one bag from your selected category when we fill your order. We think the surprise is part of the fun; please note that we are unable to accommodate special requests for specific prints at this time.